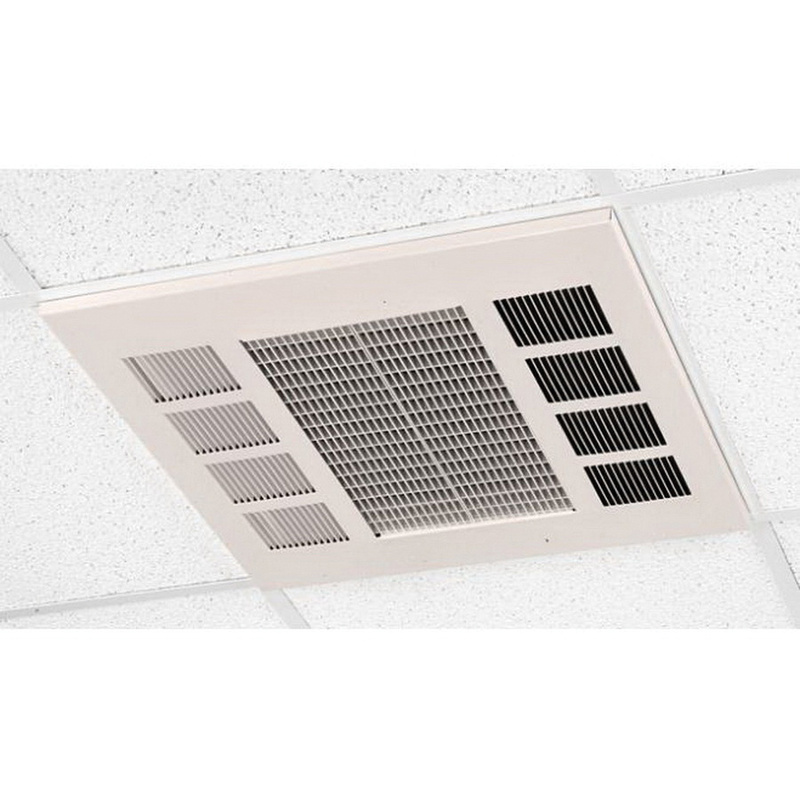 Q-Mark CDF Series Downflow ceiling heater in northern white color, has voltage rating of 277-Volts, current rating of 14.4/10.8/7.2-Amps and power rating of 4/3/2-Kilo-Watts. This heater has a dimension of 22.25-Inch x 22.25-Inch. It has temperature rating of 45 to 90 deg F. This heater is great for bathrooms, offices, conference rooms, lobbies, waiting rooms and entrance ways. Heater is cULus listed.